GET YOUR FREE TIRE QUOTE TODAY! Buy three Yokohama AVID ENVigor tires and get one tire FREE. Take advantage of this exclusive offer to outfit your car, minivan or crossover with a great set of Yokohama tires! See all current rebates and special offers. * Valid on in-stock Yokohama AVID ENVigor tires while supplies last. Cannot be combined with any other discount, coupon or manufacturer rebate offer. See store for complete details. Subject to end without notice. Plaza Tire Service is proud to carry a full-line of Yokohama tires including those highlighted on this webpage. Its staff members have been trained by Yokohama representatives to understand the benefits, advantages and application of Yokohama products to meet drivers’ needs. If you are interested in any Yokohama products not listed here, Plaza Tire Service communicates directly with Yokohama to place special orders for turnaround delivery in a very short period of time. Start shopping for your new Yokohama tires here with a free tire quote! Click “Submit” at the end of your tire quote to receive $20 off your next set of Yokohama tires! Plaza Tire Service also stocks the following Yokohama products that are not included in the descriptions below: ADVAN S4, ADVAN ST, AVID TRZ, DB Super E Spec, Parada, Spec 2, Geolandar H/T. Plaza Tire Service can special order the following Yokohama tires for delivery in a very short period of time: ADVAN AO48, ADVAN Neova AD08R, ADVAN Sport A/S, ADVAN Sport V105, AVID Ascend, AVID ENVigor ZPS, Geolandar H/T G056, iceGUARD iG20, iceGUARD iG51v, iceGUARD iG52c, Wdrive, YK-HTX, YK580. 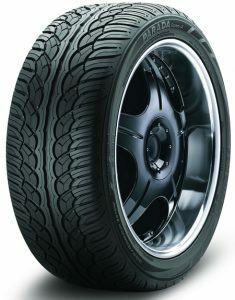 The ultra-high performance and capabilities of the Yokohama ADVAN Sport do not outweigh comfort. 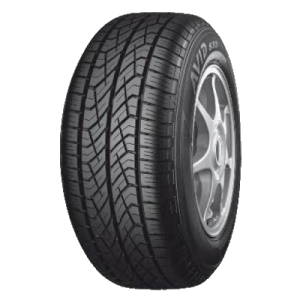 Its asymmetric tread design and tread compound provide outstanding grip in wet and dry weather plus any temperature changes. The ADVAN Sport’s tread compounds also increase the tire’s flexibility, durability and contact area for improved traction in various temperatures. 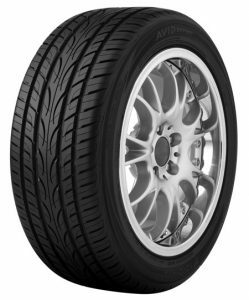 The Yokohama ADVAN Sport is ideal for several lines of Acura, Aston Martin, Audi, Bentley, BMW, Ferrari, Infinity, Jaguar, Lamborghini, Lexus, Maserati, Mercedes, Nissan and Porsche vehicles. Yokohama’s AVID Ascend tire is the ideal touring tire, with the optimum balance of extended tread life, all-season performance and superb fuel efficiency, has long been elusive. But it should come as no surprise that through Yokohama’s technologically advanced Orange Oil compound, our engineers created touring tire perfection. •While tires with conventional compounds contend with compromises in these three essential areas, AVID® Ascend™ is the world’s first touring tire to offer the Orange Oil difference. Passenger All-Season tires are for drivers who want a combination of a smooth ride, good wear and S- or T-speed rated durability along with all-season traction, including in light snow. The Yokohama AVID Envigor boasts a complete combination of performance, fuel efficiency, comfort and treadlife. Its shoulder and center rib design provides improved handling in wet and dry driving conditions. •The AVID Envigor’s rubber compound promotes low rolling resistance for improved fuel efficiency without sacrificing treadwear, comfort or grip. •The AVID Envigor is recommended for several Acura, Audi, BMW, Buick, Cadillac, Chevrolet, Chrysler, Dodge, Ford, Honda, Hyundai, Infiniti, Kia, Lexu, Mazda, Mercdes, Mini Cooper, Mitsubishi, Nissan, Scion, Subaru, Toyota, Volkwagen and Volvo models. The AVID Envigor ZPS (Zero Pressure System) is Yokohama’s High Performance All-Season run-flat radial developed to meet the year-round driving needs of sports car, coupe and sedan drivers. With the ability to provide temporary extended mobility for a distance of up to 50 miles at 50 mph in the event a puncture allows complete air pressure loss, AVID Envigor ZPS tires are designed to combine performance, comfort and treadlife along with year-round traction, even on light snow-covered roads. •The AVID Envigor ZPS radial’s all-season silica tread compound is molded into an optimized contact patch featuring a five-rib directional pattern that blends performance with all-season traction. 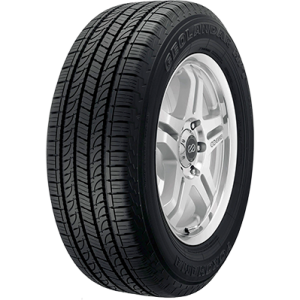 The Yokohama AVID Touring-S provides maximum comfort and traction within its all-season category. Its shoulder and tread pattern are strategically designed to evacuate water from wet roads, grip in dry condition, reduce road noise and provide a smooth, luxurious ride. The Yokohama AVID Touring-S is ideal for several Buick, Chevrolet, Chrysler, Dodge, Ford, Honda, Mitsubishi, Nissan, Oldsmobile, Pontiac, Saturn, Scion and Toyota models. 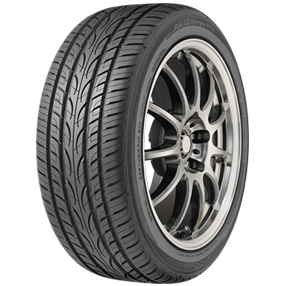 The Yokohama ADVAN Sport ZPS delivers the capabilities of Yokohama’s performance tires along with runflat features to give you driving peace of mind without fixing a flat alongside the road. The ADVAN Sport’s round grooves and circumferential grooves evacuate water effectively and safely from the tread. Its rubber compound and groove-in-groove configuration enable the tire to wear evenly and still grip the road in all conditions. 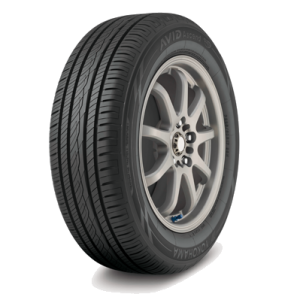 The ADVAN Sport was built with strength on the inside of the tire too so your vehicle’s weight could still be carried when it has zero air pressure and keep the tire seated on the wheel. The Yokohama ADVAN Sport ZPS is an option for BMW 3 Series/Z4, BMW 5 Series, BMW 7 Series, Lexus GS, Lexus SC, Mini Cooper and Mini Cooper S cars. Sedan and coupe drivers can enjoy the benefits of a performance tire with the Yokohama S Drive. Its flexible compound and large shoulder blocks maximize road grip whether it’s a flat, straight or curvy road ahead. Its’ groove-in-groove technology and tread ribs allow the tire to evacuate water to avoid hydroplaning and promote even treadwear and a quiet ride. Drivers can remain confident in the S Drive even at higher speeds because of its jointless cover construction and innovative casing. The S Drive is perfect for several models of Acura, Audi, BMW, Chevrolet, Dodge, Fiat, Ford, Honda, Hyndai, Infiniti, Lexus, Mazda, Mercedes, Mini Cooper, Mitsubishi, Nissan, Porsche, Scion, Subaru and Volkswagen. 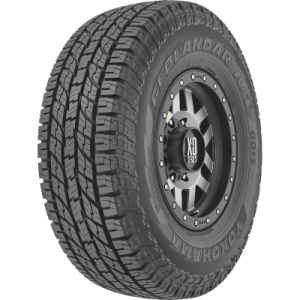 The Yokohama Geolander A/T-S features everything expected from an all-terrain tire; rugged looks, multi-stepped grooves to move dirt and gravel, large tread blocks for stable highway driving, three-ply casing for durability and a special rubber compound for long, even wear. Plus, the Geolander A/T-S has plenty of upsizing options to add even more grit to your vehicle’s look. 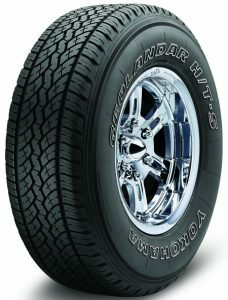 Consider the Yokohama Geolander A/T-S for Chevy, Dodge, Ford, Hummer, Jeep, Nissan and Toyota trucks. Go beyond where the road ends with the all new GEOLANDAR A/T G015™. This all-terrain tire has been engineered to give you ultimate traction across conditions, whether you’re rolling down the highway or leaving the pavement behind. Loaded with premium technology, the all-new GEOLANDAR G055™ is specifically designed to deliver confidence and value to drivers of today’s crossover vehicles. •This tire features an integrated shoulder to minimize road noise to offer a quiet, more comfortable ride while resisting irregular wear. •Transition grooves with notch sipes work together to create biting edges for superior traction in wet and wintery conditions. 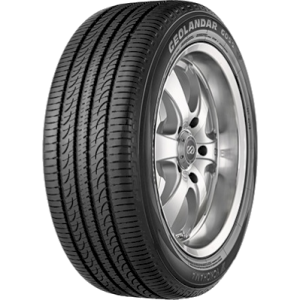 A tough truck and SUV tire that works hard, the GEOLANDAR H/T G056™ combines all-season performance and durability with long-lasting treadlife. •Adaptive shoulder blocks form a continuous rib to help reduce tread noise and promote even wear. •Yokohama’s state-of-the-art compound engineered with Orange Oil extends tread life while providing outstanding all-season traction. •Circumferential grooves with a zigzag shape provide a powerful edge effect, improving handling on snowy roads and channeling water out from under the tread. The entire Geolandar H/T-S line has been designed to effectively address the demands of day-to-day driving. All-season durability, comfort and handling are key benefits throughout the line. The advanced performance features covered in this section apply to inch-up (G052) and load range E (G053) applications as well. Large shoulder blocks provide strength and stiffness for outstanding cornering. •Yokohama’s proprietary tread compound promotes longer wear and more mileage, while maximizing wet traction. •Circumferential grooves enhance water evacuation. Cross grooves provide more biting edges for enhanced traction on snow and ice. •Constant contact tread block design reduces the noise created by air moving through the tire grooves. Yokohama’s Geolander H/T-S G053 is specifically designed and constructed to handle the heavy-duty pounding of day-to-day commercial applications. •Three-ply casing construction handles heavy loads at highway speeds and delivers outstanding durability. •Proprietary tread compound increases treadwear, reduces tire squirm and heat build-up without sacrificing wet and dry traction. The Yokohama Geolandar M/T+ is designed to handle the most extreme off-road conditions while still being able to perform on the asphalt, too. An enormous amount of energy has been placed in the M/T+’s tread materials and pattern to maximize traction in dirt, mud and rocks while it also cleans the tread grooves during driving. The sidewall and tread compound help protect the Geolandar M/T+ from punctures and abrasions. In addition to these off-road features, the Yokohama Geolandar M/T+ maintains stability on the road. The Yokohama Geolandar M/T+ is suitable for the Chevy Silverado, Dodge Ram, Ford F-Series, GMC Sierra, Jeep Wrangler and Toyota Tundra trucks. The Yokohama’s Parada Spec-X is specifically designed as an inch-up fitment for today’s heavier vehicles. Boasting fitments in 20″ to 30″ sizes, drivers of these immaculate SUVs and light trucks can have the aggressive looks they crave without sacrificing the performance capabilities they have come to expect from Yokohama. •The Yokohama Parada Spec-X sidewall is designed to provide a unique appearance while the tread features solid center curved ribs for constant contact with the road and excellent grip in all weather.